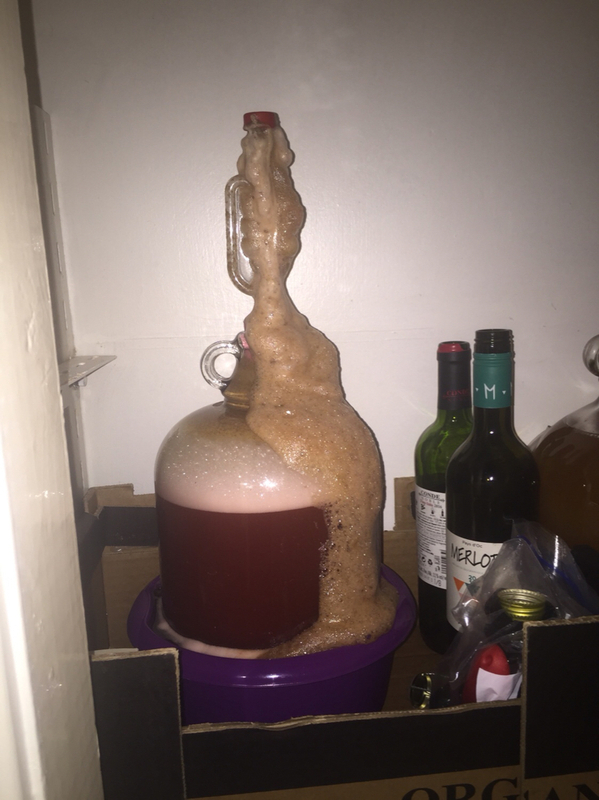 Fermentation is reeealy active. I’ve lost about a pint! Just keeps on frothing over. I bottled this framboise attempt tonight. FG - 1.006, so about 7.7%. It’s really clear and a lovely red colour, much like the raspberryade. Medium sweet/dry, but I don’t think it’s wheaty or hoppy enough, and the body is too light, quite like an alcopop. Tastes quite boozy too. I got 11x 330ml bottles, primed with about 3g sugar each. I’ll see how it is in a couple of weeks. Super pleased with how it has turned out. Tasted like I think it’s meant too. Wheaty and hoppy and fruity. Could maybe be a bit more tart, but it is really tasty. The priming has done wonders to to it compared to what it was like at bottling time. Forgot to put the tea bags in for the tannin thing, so I thought let`s go for it. Bottled, 2wks warm, 2wks cold. Forgot about this tc, just found it under the Christmas Tree in Frt Room today. Been 3wks warm, so I took it to the cold (filing cabinet under carport). Put two bottles in fridge for a `Taste Test`. 3 more bottles chilling in the garden. What a Fantastic taste, fizzy (in the correct glass) and super clear.